Why 3 in 1 technologies? Designed as a high-performance 3D optical profiler from the outset, S neox outperforms all existing optical profilers, combining 3 techniques – confocal (best for surfaces with high slope), interferometry (yields the highest vertical resolution) and Focus Variation (measure shape in mere seconds) – in the same sensor head without any moving parts. 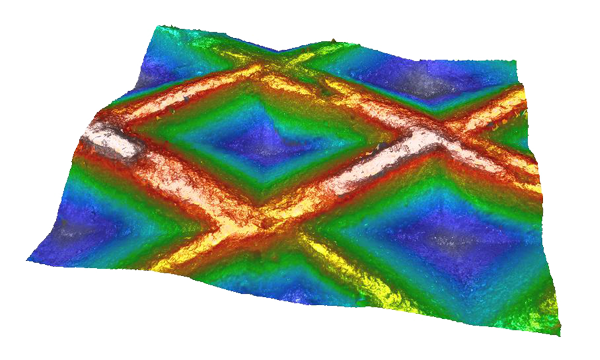 Confocal profilers measure the surface height of smooth to very rough surfaces, with spatial sampling as low as 0.10 μm – ideal for critical dimension measurements. High NA (0.95) and high magnification (150X) objectives are available to measure steep local slopes >70° on smooth surfaces with and up to 86° on rough surfaces. 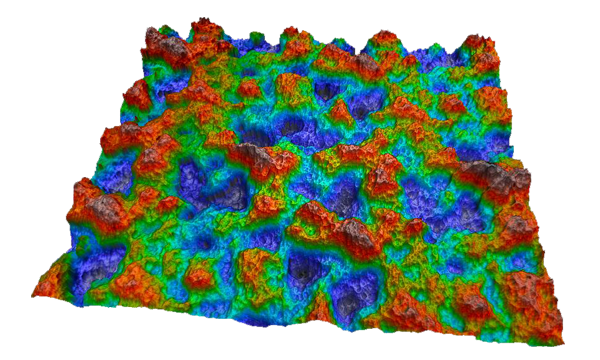 Our proprietary confocal algorithms provide vertical repeatability on the nm scale. Phase shifting interferometers (PSI) measure the surface height of very smooth and continuous surfaces, providing sub-nm vertical resolution regardless of the NA. Very low magnifications (2.5X) thus enable large FOVs to be acquired with no compromise in height resolution. 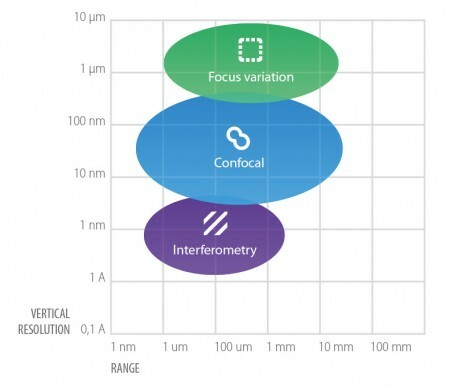 Focus Variation is an optical technology that has been developed for measuring the shape of large rough surfaces. Sensofar’s implementation of this approach has been specifically designed to complement confocal measurements at low magnification. Highlights of the technology include high slope surfaces (up to 86°), highest measurement speeds (mm/s) and large vertical range. This combination of features is largely suited to tooling applications. Spectroscopic Reflectometry measures thin films quickly, accurately, non-destructively and requires no sample preparation. The acquired interference spectrum is simulated in software, optimizing layer thickness and refractive index until the best fit is found. This works very well for single foils, membranes and for multiple thin layers (1 to 10) on a substrate. Transparent films from 10 nm to 20 μm can be measured in less than one second with a thickness resolution of 0.1 nm and a lateral resolution up to 5 μm. The key is the microdisplay! This in combination with high-resolution scanning stages and swappable objectives provides a flexible optical system. For example, a variable slit pattern projected onto the microdisplay combined with a brightfield objective are the essential ingredients for confocal microscopy. Swap the slit pattern for a flat mirror, and the system is now capable of focus variation. Now swap the brightfield objective for an interferometric objective, and the system is capable of interferometry. 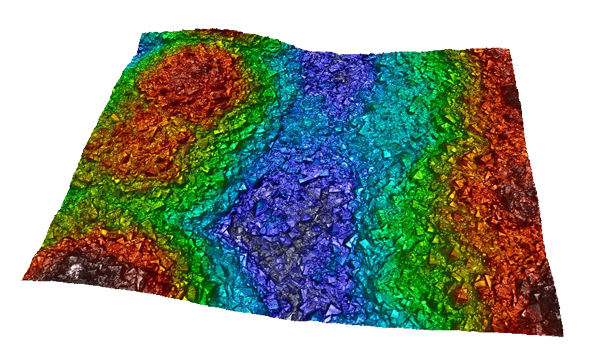 What does 3D Surface Metrology measure? Very generally, both natural and manufactured surfaces comprise a primary shape or form (topography), with varying degrees of structure, waviness and roughness (2D/3D). All of these surface features will contain both intentional and unintentional (controlled/uncontrolled) contributions. The relative significance of these contributions is determined by the application (noting that uncontrolled contributions are not necessarily undesirable). The goal of a measurement is to evaluate – qualify and quantify – the differing contributions, either in support of a fundamental scientific research finding, or with regard to a target industrial application. Depending on the field or application, the structure, waviness and roughness contributions might be categorized as finish, haptic, texture, defects, marks, micro-wear and much more. Alternatively, the user may be looking to determine critical dimensions, step-height, peak-to-valley, volume or slope, or even map coating thickness and other surface characteristics. 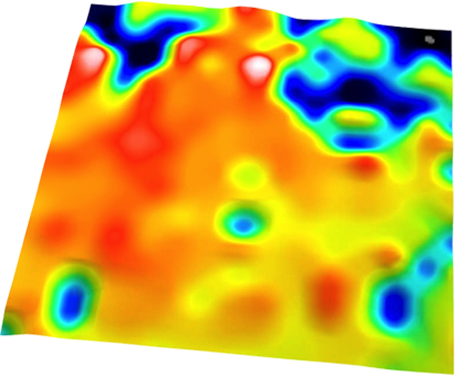 If the goal is to determine areal (3D) surface texture, the results can be also be rigorously tied to the appropriate parameters as defined by the increasingly prevalent ISO 25178 standard. In industrial (surface) manufacturing, the adoption of best practices tied to widely accepted standards can make manufacturing more efficient, reproducible and traceable. Typical applications sectors include general scientific and materials research, optoelectronics, data storage, automotive, medical technology, energy, and optics & optoelectronics. Specific applications include additive manufacturing, automotive and consumer electronics, ballistics, CMP pad monitoring, micropaleontology, nano-technology, micromanufacturing, optics, surface inspection, surface functionality and passivation. 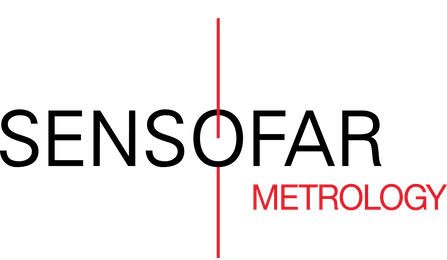 The sheer breadth of 3D surface and 2D profile metrology tasks across so many scientific and industrial applications points directly to the outright practicality of Sensofar Metrology’s ‘3-in-1’ approach.